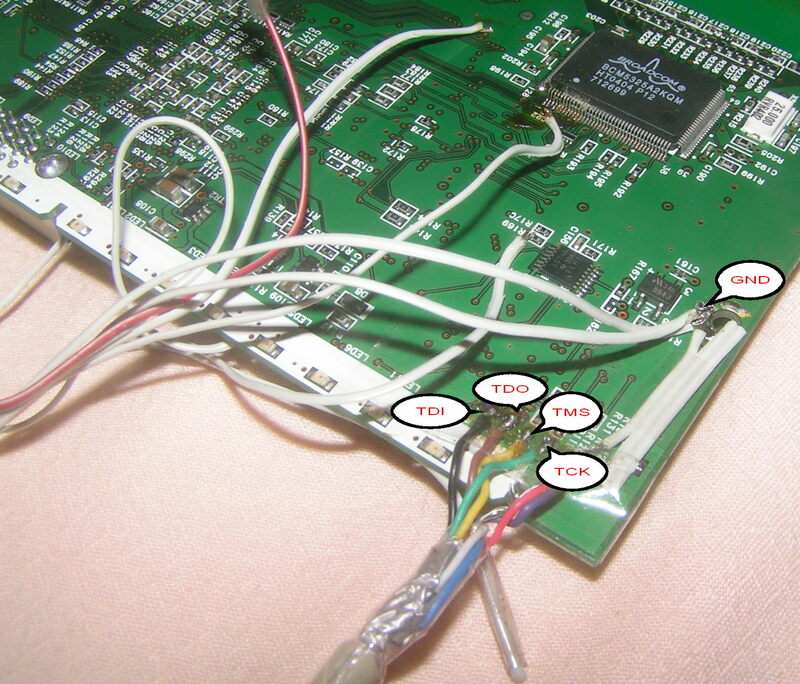 Posted: Tue Mar 06, 2007 6:19 Post subject: JTAG pinouts and guides ! ! ! thanks, and here is the one for some buffalo units like WVR-G54-NF. some WHR units have got similar board layouts and similar jtag pinouts. 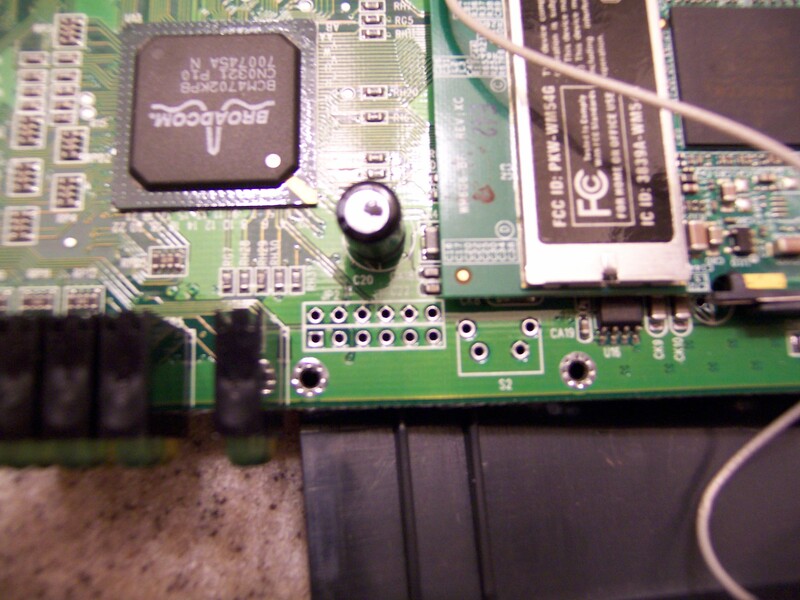 Posted: Sun Mar 25, 2007 15:16 Post subject: Re: JTAG pinouts and guides ! ! ! seems this is for rev.C and before. i've got boards in both rev.C and rev.D, and the rev.D ones have bcm5325 and ram chips at the back of the main board, and do NOT have this 12/18 pin connector beside minipci wifi card. 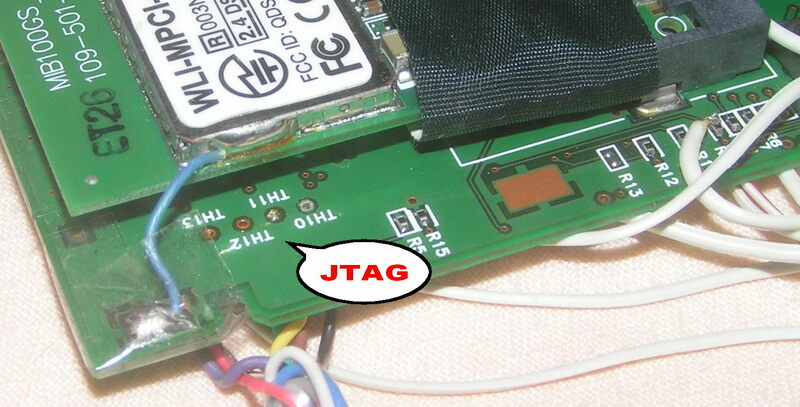 I thought I'd better make sure that the WHR-G125 actually had JTAG on the board. Here's the proof. 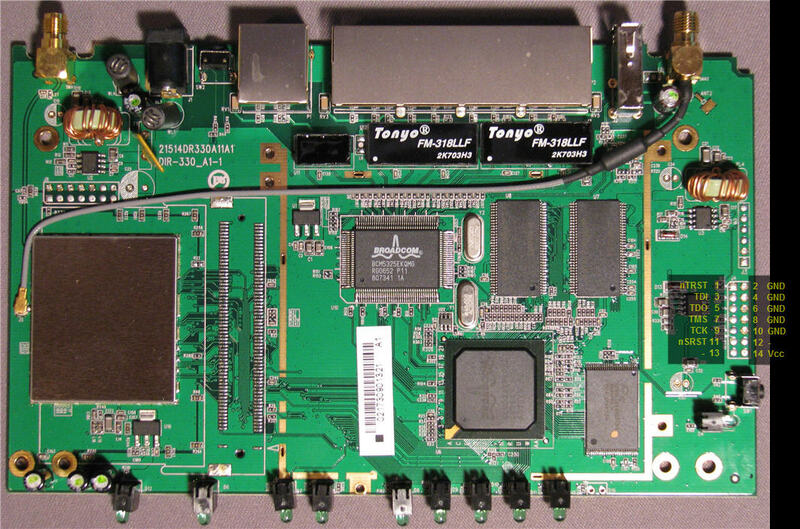 Does anyone know what the JTAG layout is on a WRT54G version 1 (serial CDF1)? There is one location with 12 pins (2 rows X 6 pins) labeled JP2, is this the correct one. 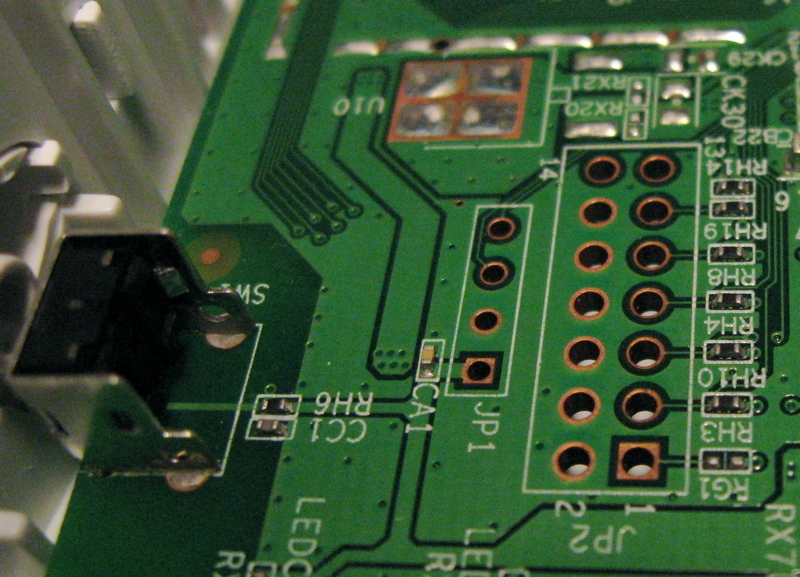 For Rev.A1 of the board, the JTAG header is numbered J4. It uses the 14-pin EJTAG 2.6 layout, but I am not convinced that it is actually a 2.6 interface (which would require the /nodma switch). there are anybody know some hidden jtag connector? anyone have info on jtagging the buffalo whr-125? instead of installing header pins I'm just going to solder my jtag in. Solder your header into pins 1-12 as normal and it can be JTAGd from the top of the MoBo. does anyone have jtag connections for Linksys WRT600N? or Donate with PayPal ! anyone have info on jtagging the wrt300n ? anyone have info on jtagging the wrt300n v1.1 ?